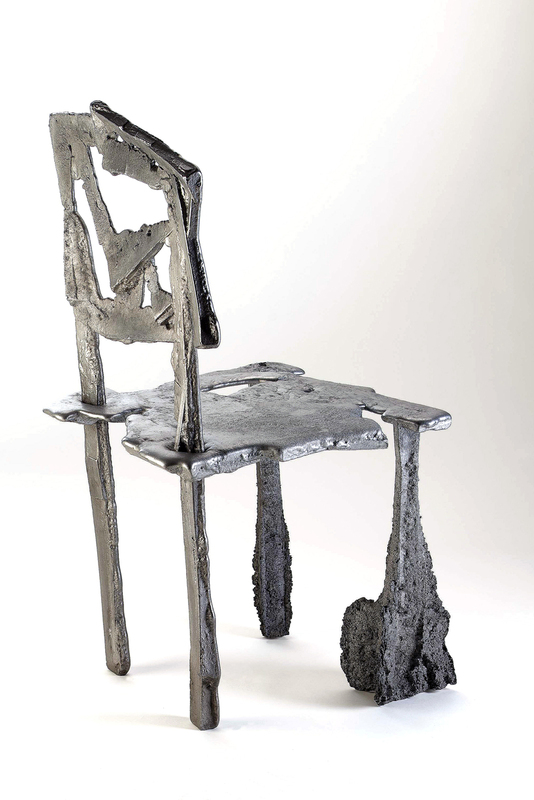 Sand cast aluminum, one of a kind, self production, 1999. Sticking pieces of wood in a sand box and then letting molten aluminum overflow in the space they left. The chair, an experiment with unforeseen results and not much control, was made in two parts. The back and hind legs are one part locked in by casting the second part, the seat and front legs, over them. The bulges at the bottom of the front legs were created when the sand “sponged in” the aluminum. This one of a kind chair was part of the “Pgam- Defective by Design” exhibition, curated by Kenny Segal in Jerusalem, 1999.